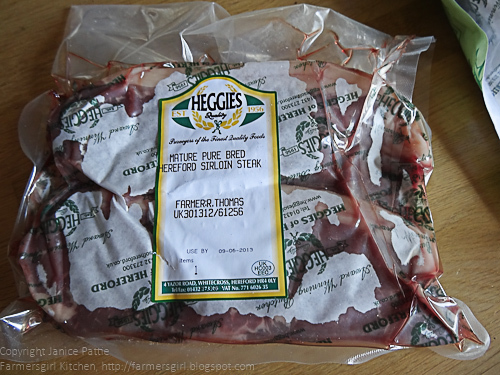 I was incredibly pleased when I was offered the chance to review some beef from Heggies of Hereford. Heggies first opened its doors in 1956 by Charles Heggie and has grown ever since; based in the rural city of Hereford they are able to source our products from some of the very best suppliers in the county of Herefordshire. Although I received three different cuts of beef, I have only had the chance to cook one of them. 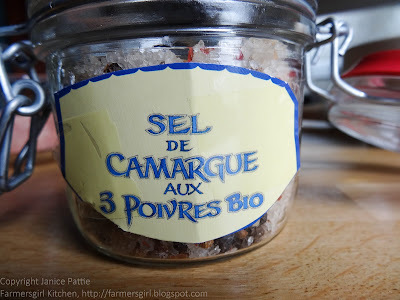 I seized upon the sirloin steaks last weekend, and as you can see it is labelled with all the details of the provenance of beef including the name of the farmer. Look at the beautiful marbling through the meat and the creamy white fat, both signs of great flavour. 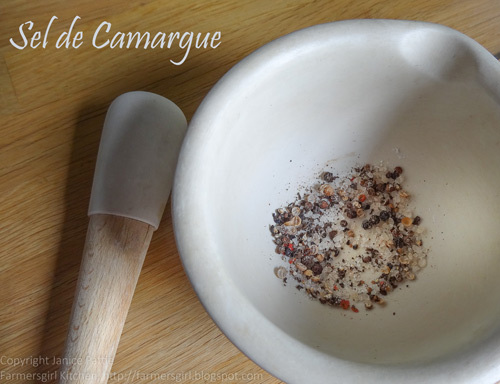 Usually I would cover my steak with crushed black pepper, but I wanted the flavour of the meat to really come through, so I used just a little of the Sel de Camargue I brought back from Provence in the spring. Sel de Camargue contains sea salt, black pepper, pink pepper and coriander. I crushed a couple of teaspoons of the Sel de Camargue in a mortar and pestle, covered the steaks with a little olive oil and rubbed on the salt and pepper mix. I then left it to marinade for about four hours, three in the fridge and the last hour out of the fridge so the meat was at room temperature when it ws cooked. I grilled the steaks, but you could fry them if you prefer or cook on the barbeque. We like our steak a little bit pink and the steaks cooked pretty quickly. The verdict? 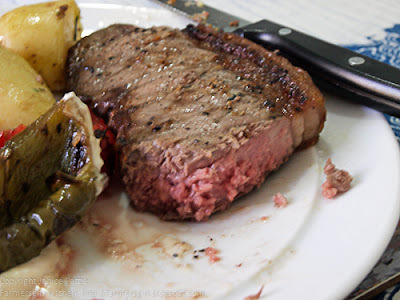 Oh my goodness, probably the best steak I've ever tasted, there was nothing chewy about this piece of meat as there often is with sirloin, it was easy to eat and was full of flavour. I'm not a huge fan of fat but grilled crisp, as it was, I ate the whole lot, it was just so good. 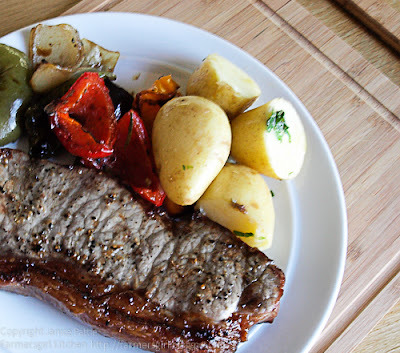 Two 12oz Sirloin Steaks can be bought online from Heggies of Hereford for £17.00. Although that does seem expensive, I would have to say that is is completely worth it. If you wanted to be a bit more frugal, you could slice the steaks after cooking and make them stretch to four people. 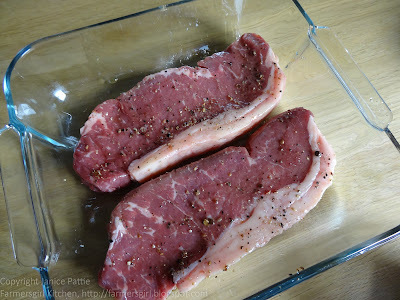 Many thanks to James Heggie and Tariq Mohammed for the opportunity to review these steaks. I was not paid for this review and all opinions are my own. a classic and absolutely divine... I need this in my life NOW!!!!! So hungry now! All my family are from Hereford I have spent a lot of time there and this steak really is great. I feel a visit needs to happen soon!